Tis’ the season for festive holiday parties, impromptu get-togethers and celebrating with our family and friends. Whether you’re on hosting duty or heading over to Great Aunt Mildred’s house, impress everyone with this unique yet simple SUGAR AND SPICE CHEESEBOARD. 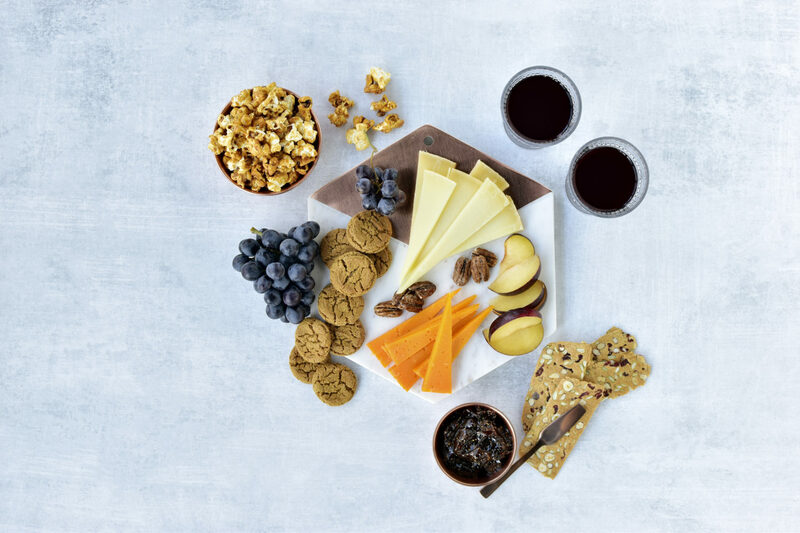 Start with two crowd-pleasing cheeses: slightly sweet Prairie Sunset® and our award-winning alpine-style Grand Cru®. Layer in warmly-spiced holiday treats like spiced pecans and gingersnap cookies, then add sweetness with fresh fruit (we chose juicy plums and grapes) or fig jam and crackers. Simple as that! It’s sophisticated, easy, and a delicious board to bring to any holiday gathering or provide as a hostess gift.